CMCP1100S-601P Accelerometer for CMCP601P Rotor Kit Reliability Direct, Inc. Your Direct Source for Reliability, Maintenance, Test & Measurement! 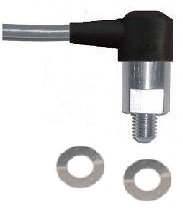 Industrial Accelerometer for use with the CMCP601P Portable rotor Demonstration Kit.